I have worked with DND Ltd for many years, right from the start of the business. Over the years we have developed many websites together all the time making improvements to keep up with changing trends. Currently the site is a large brochure website which I keep up to date with new portfolio updates. I also work on keeping the social media profiles up to date and linking them in with the website. 2018 has seen the website updated again. 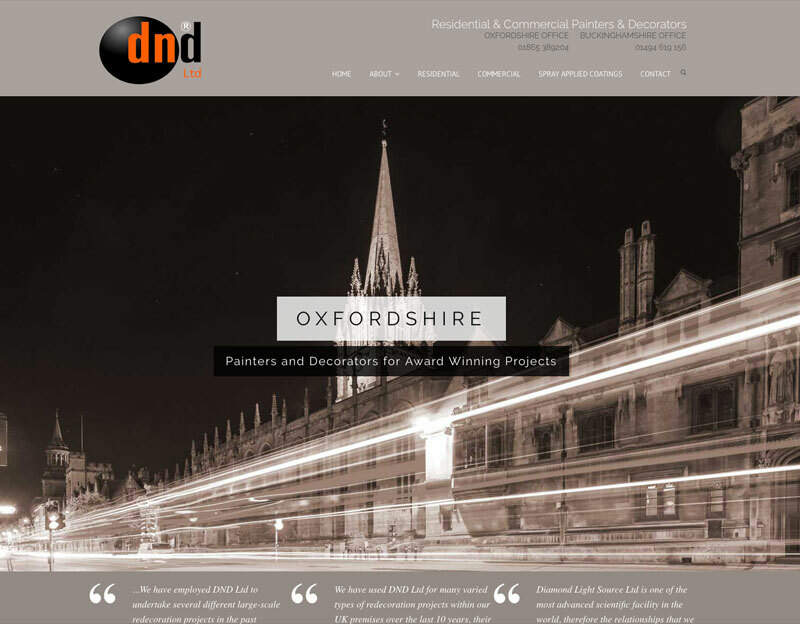 DND Ltd always pride themselves on being leaders in the painting and decorating field, so wanted a website that was completely different from their competitors.